Jesse Eisenberg is Lex Luthor in "Batman vs Superman"
Warner Bros announced today that Jesse Eisenberg (The Social Network) has been cast as Lex Luthor in the upcoming "Man of Steel" sequel, "Batman vs Superman." 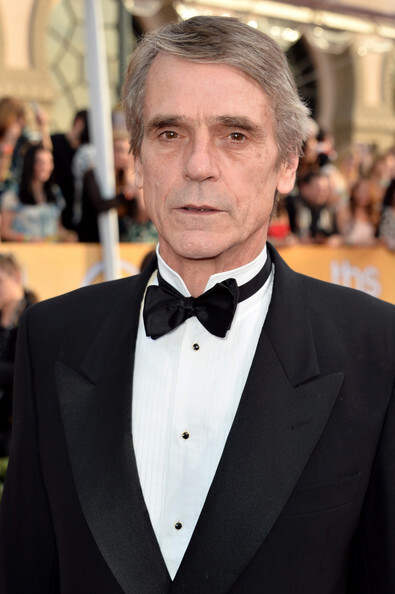 Meanwhile, Jeremy Irons also joined the production as Alfred. "Lex Luthor is often considered the most notorious of Superman's rivals, his unsavory reputation preceding him since 1940," said director Zack Snyder. "What's great about Lex is that he exists beyond the confines of the stereotypical nefarious villain. He's a complicated and sophisticated character whose intellect, wealth and prominence position him as one of the few mortals able to challenge the incredible might of Superman. Having Jesse in the role allows us to explore that interesting dynamic, and also take the character in some new and unexpected directions." He continued: "As everyone knows, Alfred is Bruce Wayne's most trusted friend, ally and mentor, a noble guardian and father figure. He is an absolutely critical element in the intricate infrastructure that allows Bruce Wayne to transform himself into Batman. It is an honor to have such an amazingly seasoned and gifted actor as Jeremy taking on the important role of the man who mentors and guides the guarded and nearly impervious facade that encapsulates Bruce Wayne." "Batman vs Superman" is set to hit theaters on May 6th, 2016.
i actually don't know how i feel about this. I will see if he can pull this off. Seems about right for this doomed production. This is f*cking laughable. Who needs Doomsday to destroy Superman and the JLA when you have WB? I kinda can't wait to see this movie now. It's like a train reck casted by a 13yr old. Lol at your first comment!!!! He's a complicated and sophisticated character whose intellect, wealth and prominence position him as one of the few mortals able to challenge the incredible might of Superman. Now that's what I call as Unexpected for real. So, it was Lex luthor who invented facebook. Methinks Rambo just likes being a contrarian. Come to think of it, I would rather had John Hurt over Irons. I'd rather have Katy Perry over myknee. Well, Syn, you should see the comments on THR. Those guys seem to think this is GREAT casting direction, so I would like to hear from others why we're all wrong and why you think that not only is this a good decision but also how DC is making all the right moves with respect to casting. Batman = fail. Wonder Woman = fail. Potential Lex Luthor = fail. This movie will fail......big time. That's a bold move. Either they are certified geniuses or ethetic whackos. What the f*ck are they smoking over there at WB? Mink- just trying to give them a benefit. Cress- I dunno but I want some of that sh*t! You want something that makes you bleed your brains out of your *sshole? Mink- well, since you put it that way, hell no. Terrible. Irons is good though. Irons is an interesting choice for Alfred. I don't think he quite has the right look for the role tbh. I actually would have been just fine with Irons as Luthor. Eisenberg is a terrible miscast. Maybe he nailed the audition. Would have been interesting to see Joaquin Phoenix take on this role. Even that drug addled piece of sh*t has standards though. -this project is starting to smell !! So we ask for Heisenberg and we get Eisenberg? If they cast him, probably they know something that you don't,they have (more) experience and for that reason they are more capable of choosing the right actor for the job. Eisenberg, Irons, Affleck and Cavill are all excellent actors and I hope the movie is as good as man of steel. Heisenberg. Eisenberg. I guess I can understand the confusion. One played a cold blooded sociopath that built a criminal empire in his spare time after teaching high school chemistry. The other looks like the ugly girl that had to take her cousin to prom. Simple. Just fire the extra from Mean Girls and get us a real villian. It disturbs me to think that a room full of adults said, "arch nemesis of Superman? Let's get that Facebook kid!" "Genius! I should give myself a raise." I think I know where snyders going with this. he's trying to do a darker but humorous version of gene hackman's luthor in the original superman movie. This new luthor is a snarky murderous sociopath whereas hackmans luthor was more cartoony.It'll resemble the difference between nicolsons joker and ledgers joker. What's wrong with Joseph Marcell as Alfred. He Played an Butler before and he can do it again. What's wrong with Jeff Bridges playing Lex Luthor as he appeared in the The Man of Steel comic book. Why are they wasting Jeremy Irons talent as a Butler when they can use him in a bigger better part. I was willing to give them a pass after the cast Affleck as Batman, and then Gadot as Wonder Woman, but now.... I'm done. The sequel is dead as far as I'm concerned. Thank you, good night! Pornfly is it retarded to believe at what they are trying to do? These people are trying a different approach than all the other comic book movies and it may fail, but I think that they are really trying to make something good. It may not be as faithful to the source material as some fanboys would like but it may still be a fun movie to watch. Why all this hatred? Is it retarded to believe at what they are trying to do? Well for me I think it goes back to the fact that the film makers conscientiously used metric tons of Jesus symbology throughout the Man of Steel to the point of having Superman literally assume the position of the crucifixion as he floated out of Space Noah's ship and his long deceased father told him "you can save them. All of them" referring to every human on the planet. That's false by the way. Superman can't save everyone, everywhere, all of the time. We were supposed to learn this when Jonathan Kent died from a heart attack. Not even Superman could save his dad from a heart attack. This would have shown the audience that Superman has limitations and vulnerabilities serving to relate an alien with god like powers to us. The audience. The common man. Instead, Jonathan died on purpose in a fit of stupidity. To prove a nonexistent, imaginary, and ultimately false point. That Clark was "sent here for a reason." And that reason was to drive a tractor in Kansas for his entire life just like any other guy from Kansas. And to grow corn just like any other guy from Kansas. Good thinking Jonathan. Too bad that idea was completely crushed the instant Clark put on a blue leotard with a red cape and flew all over the planet at a low enough altitude to be seen by any and everyone. It's as if your son that you've raised from an infant took everything you ever said to him or taught him and just wiped his *ss with it to go for a joy ride. That's gotta sting. Maybe one day he can build a baseball diamond in one of those corn fields and you can come back from beyond the grave, SuperHeaven, or whatever and have a game of catch with his sorry, smart*ss. Just remember to bring that dude from Goodfellas and Darth Vader with you. This brings us to a point where we would still be if Costner had not uttered on line of dialog the entire film. This character's existence has been rendered pointless. He really is just some guy that found him in a field. Fed him. Now that he's grown if you could just jump into the nearest tornado. Thanks. Then we meet his "heavenly father" from outer space. From beyond the grave, SuperHeaven, or whatever. Now it's SpaceJesus, SpaceJesus, SpaceJesus. The film makers showed real moxy by straight up stealing the lines verbatim. "Be a beacon of hope. A symbol they can aspire to. They will join you in the sun. You are SpaceJesus" So sayeth SpaceNoah. Henceforth and whatnot, therefore. Then the film makers, Zack Snyder, David Goyer, Nolan, or whoever despises logic, common sense, and storytelling in general decided to have a twist at the climax of the film. This screams Nolan or at least somebody willing to blow him in public. I'm sure they thought this will be "dark, edgy, and realistic." Let's take all this SpaceJesus symbology stuff we've built our protagonist on and just chunk it. Ignore it. Like it never happened or just doesn't exist. One quick jerk. One loud CRACK!! And SpaceJesus just killed the bad guy. That's not very Jesus like of SpaceJesus. I could almost still be on board at this point except for one small fact. Thousand's of people just died because their city literally caved in on their heads and crushed them to death. And all of that could have been avoided with one super jerk with a loud CRACK!! Again, one loud CRACK just made the entire third act of the film completely pointless. If it had never even happened we would still be at this same point in the story with one small difference. All of those dead people under all that rubble would still be alive. "You can save them Kal. All of them." Bad news Jor-El. Evidently he can't. Let's ask him about it....where the....he's still crying. Jesus Jumping Christ on a Cracker he's in the floor crying like a b*tch while Lois holds him. Super. As soon as he gets his tampon changed maybe we could get a word with the man of steel....or SuperSpaceJesus....that murders...or better yet the film makers can go f*ck themselves. It's not a twist so much as more similar to defecating into their own hand and flinging it at the audience. They brilliantly thought "let's get that twin guy from Social Network to play the Lone Ranger." Since that worked out so well "let's get that kid who played the lead in Social Network for Lex Luthor. Because I think I read that Facebook is....bad now...or something. I'm so good at this stuff I should give myself a raise." This is how I know that none of these Hollywood jerk offs have any talent of any sorts. They are where they are because of who they are. Or who their father/uncle/grandfather/in-law is. Or they blew the right person. I'm sure none of these jerk offs got through a real college level freshman comp class. Reading a story and writing about said story. If they turned this kind of crap in they would still be trying to pass freshman comp. I'd bet my life I can find a guy flipping burgers in Jersey that could have come up with a better story than this crap. So why all the hate you asked. I guess if I wanted to see a comic get raped I'd just stay home and do it myself. The next film will be Lex Luthor does something bad. SuperJesus swoops in, breaks his neck, falls in floor crying, gets held by Lois, changes his tampon, smiles for the camera. The end. Now where's my $10 million. I'm already hard at work on the next big blockbuster. Working title is "Gandhi has a Big Mac and wastes everyone that disrespects him, yo." Kanye doing the soundtrack. Keanu Reeves set to play Gandhi. I was just gonna say that. jafinbham wow! you just wasted a considerable amount of time just to prove that you are right and I am not. Space Jesus or not, it was a film that I liked, in my humble opinion it was the only good superman film (so far). Now write a 3 page comment of how the old ones are better. situs togel انضم جيريمي آيرونز أيضا إلى إنتاج ألفريد.